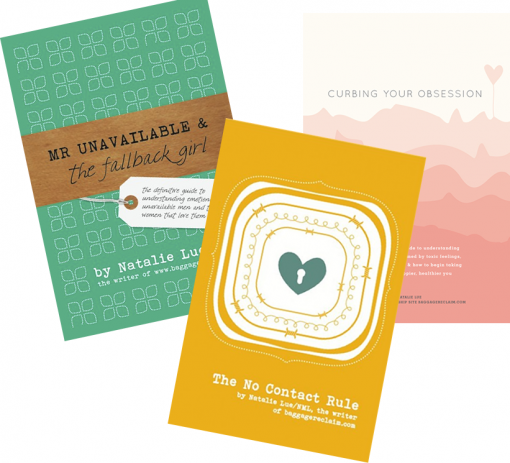 Are you the Fallback Girl? If you've ever found yourself in a relationship that feels and seemingly looks like one, but you're struggling with commitment, or you've been in the ambiguous territory of a 'casual relationship', much time, energy, effort and emotion has been expended on deciphering what the hell is going on. You've likely tried to change them. Maybe you've wondered what you 'did' to cause this or what you can do to win their love and commitment, or even whether you're going crazy. What happened to that 'great guy' from the beginning? Why won't he break up or stay away if he doesn't want to commit? What the hell did I do to make him disappear? Is he going to leave 'her' for me? It's because he's shy/busy/scared of his feelings, isn't it? Inspired by the real-life adventures in unavailability of myself and the readers of my site BaggageReclaim.com, Mr Unavailable and the Fallback Girl is an empowering, entertaining and inspiring read that will wise you up to pitfalls such as men who aren't over their exes, Future Fakers, guys that have more baggage than a Heathrow terminal and reappearing childhood 'sweethearts'. If you want to understand your own availability, and why commitment in a healthy relationship is eluding you, Mr Unavailable and the Fallback Girl is your guide to being available and attracted to healthy, available partners. This package includes the ePub version which works on iPhones, iPads (use in apps like iBooks and Goodreader) as well as suitable for the Nook. 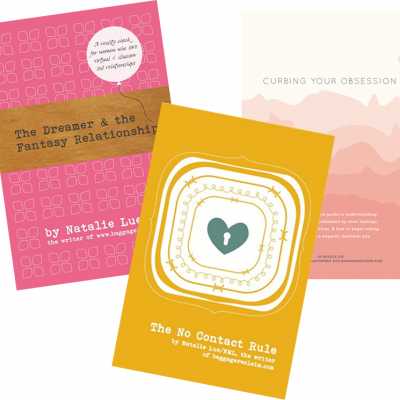 This package includes an exclusive Feelings Diary worksheet, a beliefs guide worth £5, a Do I Need To Cut Contact Worksheet, plus the Unsent Letter Guide and worksheets. You can also buy a Kindle version of this book on Amazon. Please note the Kindle version does not come with the extras this PDF pack contains. After you've completed the checkout process, you will receive an email within a few minutes of ordering with the links for downloading your ebook files. Please refer to eBook FAQS if you have any queries. 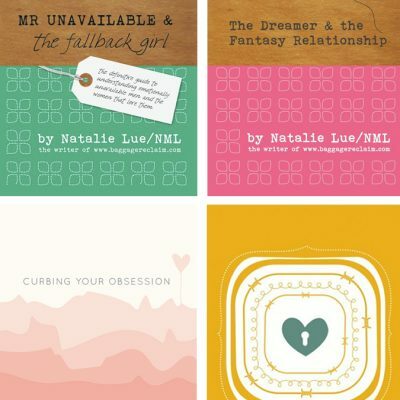 If you would like to purchase more than one of my eBooks, have a look at my bundle deals. Want to purchase a physical copy? 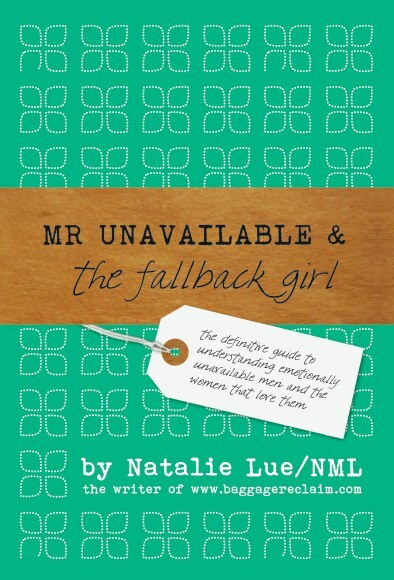 UK and Europe - Readers can purchase Mr Unavailable & the Fallback Girl from Amazon.co.uk. Signed copies are available through this shop - purchase a signed copy. US & Canada - Available in Paperback via Amazon.com and also via Createspace, which is also part of Amazon. Createspace also make the book available through various online sellers which you can check via the Amazon.com link. All other countries - Where applicable on Amazon.com and also via its subsidiaries and sellers. I've helped thousands of people break free from unhealthy relationships and breakups after using No Contact to kick a toxic relationship and transform my life. 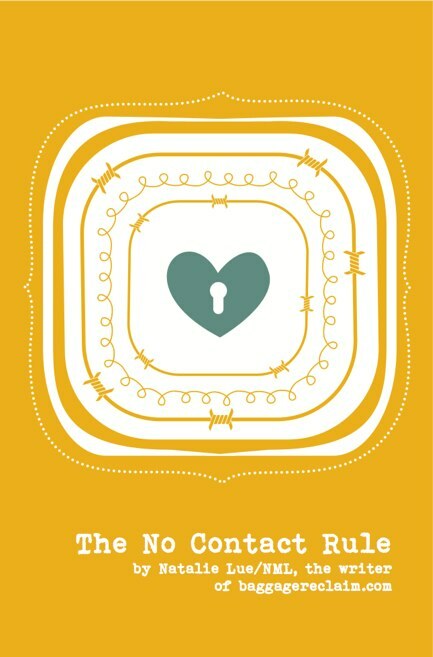 Discover what 'NC' is and how to do it, how to break an unhealthy cycle and navigate various situations - from Facebook to pesky texts, working together, sharing a child or feeling trapped by your feelings and thoughts. Cut contact and put the focus on you. By treating you with the love, care, trust and respect you deserve, this could be one of the best decisions you've ever made. This is the 2nd edition of this book and is more than double the original size. For a detailed description, see The No Contact Rule book page over at Baggage Reclaim. Please note that not all items that are available with this purchase are available with other formats. After you have been through checkout and paid, you will be given the option to download the file. There are three tries for downloading. Your email contains a list of the files available for downloading. PDF is a standard file format which is great for reading on your computer, printing and can also be read on various mobile apps like Goodreader. Epub is specifically formatted for mobile devices and eReaders (Apple iPad/iBooks, Nook, Sony Reader, Kobo, and most e-reading apps including Stanza, Aldiko, Adobe Digital Editions, and Readability. It doesn't work on Kindle). Your pack also includes a Feelings Diary worksheet and The Unsent Letter Guide 2nd edition ebook and worksheet. If you have any problems downloading, please get in contact us where we can deal with your query promptly - you may find that your query can be resolved by checking out the FAQ. 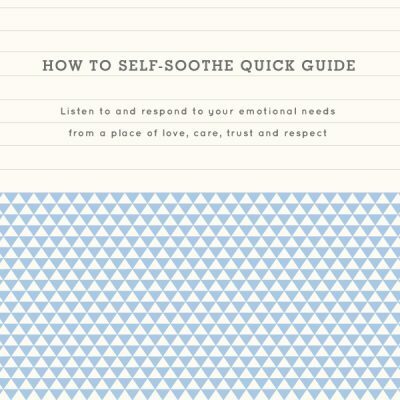 £4.99 when purchased alone or enjoy it for free as a member of The Library, my monthly membership program that helps you grow your self-esteem, break unhelpful patterns, and boost your relationships and experiences. Sometimes we find it hard to recover from a loss or feel as if we've been abandoned again which can resurrect old wounds.We can become fixated on where we think that we went wrong or the injustice of the outcome or plotting strategies to tip the situation in our favour. Next thing our days, weeks, months and even years are lost in repeatedly going over the chain of events, checking up on their activities online, torturing ourselves over what is put on Facebook et al, or doing stuff to gain attention and prevent what we perceive as an unfavourable outcome. Somewhere along the way we lose sight of ourselves and our emotional, mental, physical and spiritual health can be severely impacted if we don't step in and help ourselves and seek additional support. If you're stuck in a cycle of unhealthy thinking and behaviour due to a toxic cocktail of blame, shame, ruminating, jealousy, possessiveness and almost constant fear, you're experiencing obsession and you're far from being alone. Recognising what you're experiencing and where these thoughts and feelings come from are the first steps to breaking the cycle and getting to a healthier, happier you. 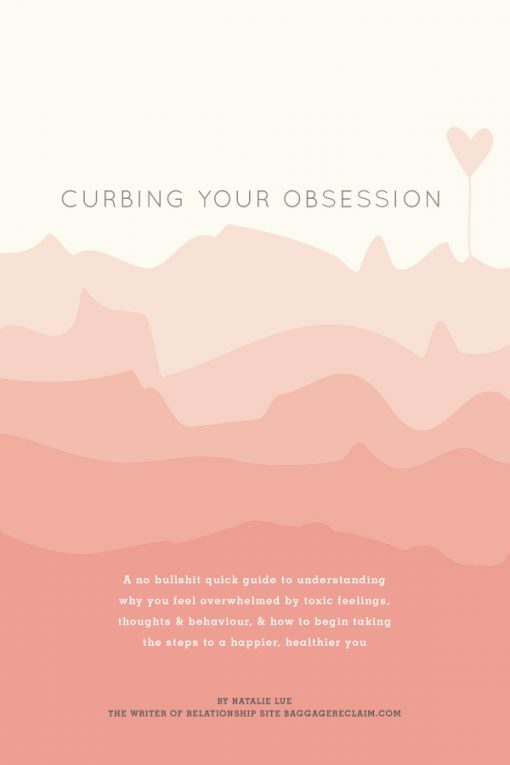 In this detailed Quick Guide, I explain obsession, where these feelings and thoughts are coming from and what you're trying to achieve when you keep repeating the cycle of behaviour and thinking, along with tips and tools to help you move forward.